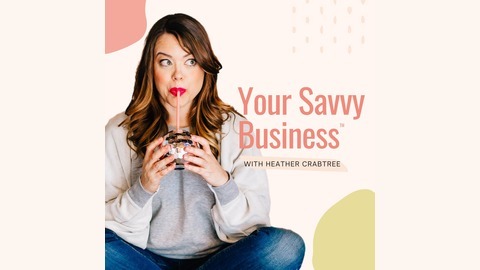 Your Savvy Business + Life with Heather Crabtree is a podcast for female entrepreneurs who want to run a profitable + sustainable business while living a fulfilled life. 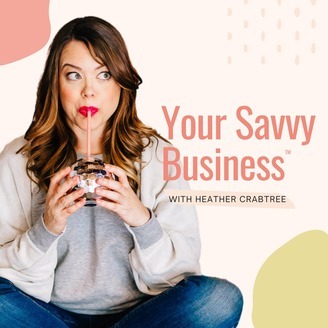 Heather Crabtree is a Business Strategist, Community Builder + Mama to two littles. She is the founder of The Savvy Community™, a membership site experience for female entrepreneurs, + the Savvy Business Circle™, a high level mastermind for female entrepreneurs. She covers the good, you know, those confetti moments in business like planning a new service, getting a new client, launching your course + those real life things like being married to an entrepreneur, having kids, taking time off + the really hard moments as well in business such as feeling alone, feeling overwhelmed, not knowing the next steps to take + even wanting to quit your business as well as the even harder life moments like losing a loved one or like the one that Heather's family was faced with over the past two years...their child being diagnosed with Stage 4 cancer. Join Heather every Monday as she shares the real questions we are faced with daily. Heather’s community members are action takers + money makers. They are shifters + shakers + rule breakers. They say no to things that don’t fill our cup + yes to things that fill us up. Instead of comparing, they are all about sharing...their smarts + their hearts. They create, connect, communicate + collaborate. A community making an impact on the world. Forever + always grateful for each moment in our lives. They work smarter, not harder. Having fun + giving big hugs along the way. Living their best lives + running businesses with intention. Working together to uplift + give back. They are SAVVY. For more resources, check out HEATHERCRABTREE.COM + download the free Savvy Business Roadmap. In this episode, you will learn the four key steps you need to take as you shift or transition your business, so you don't lose your audience or clients/customers.